We are getting our hair done today and so I (Casey) have been searching the Internet for inspiration. I went from brown to red last time and while I loved it, I hate how high maintenance red hair is (if it's not natural, of course). My hair color faded so fast and my roots are unsightly. However, getting rid of red hair is challenging, so we'll see what happens. We'll post pictures of our hair once it's done. 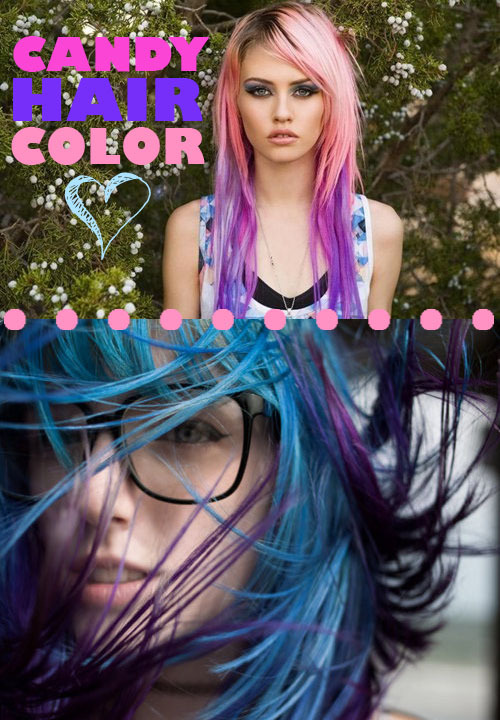 Until then, here are some pictures of hair color we are digging. Now I'm looking for my next color inspiration, so thanks again for these beautiful pictures! Have fun! Looove your posts!!!! Amazing ideas...Thank you! I think y'all should do the bits of pinks and blues. Looks so cute. Wish I was brave enough. I love all of the hair colors except the gray-ish. It reminds me of old ladies who come out of the salon rockin' blue/gray or pink gray. I do especially love the 9th pic down. The one where the girl looks like she wants to eat your soul. Her hair is stunning. I'd totally do that to my hair and i "ain't no spring chicken". Love, love your blog. It's just "oh so pretty", well done, you! Can't wait to see how fabulous you look with your new do's! Wish I could dye my hair purple. Might just have to invest in a wig.